Various products of Rubber like bellows, gaskets and much more are available with us. Silicone rubber has a very wide working temperature range of -50 ° C to + 200 ° C. Used in the pharmaceutical and food industry. 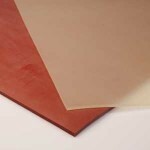 Silicone has very good aging properties, weather resistance and is electrically insulating. Thickness: 0.5mm, 1mm, 1.5mm, 2mm, 3mm, 4mm, 5mm, 6mm. 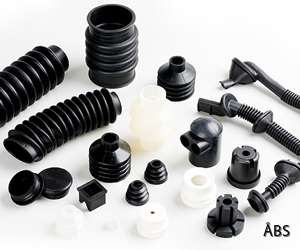 Do you need to develop custom rubber details and products? We are at your disposal with our knowledge and also help you tailor-made solutions for your applications. With us you will find a wide range of products that include rubber cloth, rubber mats, rubber strips, vibration dampers, hoses, wrist straps, plastic strips and much more. Rubber gaskets are available in different materials and sizes. Neoprene also called Chloroprene rubber (CR) is a synthetic rubber like combines good weather, oil and fire resistance. CR is common at manufacture of gaskets and bearings where the products must be resistant to ozone and oil. Natural rubber (NR) and styrene butadiene rubber (SBR) are the most common materials for rubber rubber fabrication. These have Excellent properties such as high durability, elasticity and goodness cold resistance. EPDM is a rubber material with excellent ozone resistance. It also has good heat and cold properties. In addition, excellent resistance to oxidizing acids and other chemicals. weather and ozone resistance. 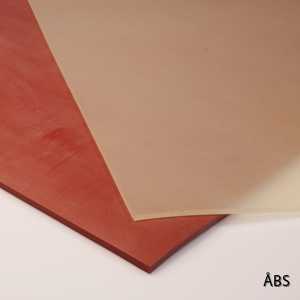 Rubbercloths of NBR are used for gaskets, lids, protective clothing in environments with oils, gasoline and the like.